Yes! I would recommend this leather jacket to a friend. The jacket fits perfect for my body shape and size, it's not to heavy with the lining. I prefer to wear the jacket without the lining. I reviewed five or six leather jackets and this one was a good choice. Prominent seams add interest to this supple premium lambskin hipster from Mason Cooper. Simple, but not simplistic, it offers intelligent features like a zip-out lining and interior pockets. This look offers a casual, yet sophisticated style that will last for years. Each design is exceptional and features top-quality construction. I was hesitant about purchasing this jacket without having the opportunity to see and feel the texture of the leather. However, the quality of this Mason & Cooper Leather is just superb. 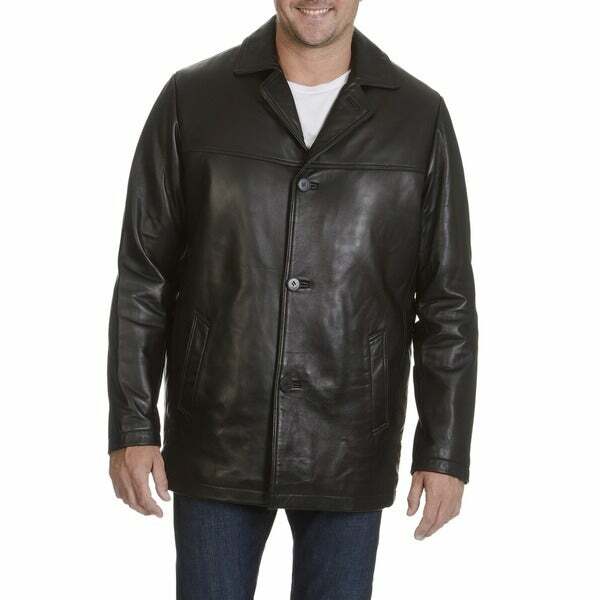 The soft rich feel of the leather, and excellent zip-out lining, and the warmth of the weight of the coat is wonderful. I've purchased many leather jackets down through the years, but this one is certainly at the top of the list, and I doubt if you'll be able to beat the great price! Glen S.
The quality of this jacket is great. However, it floats and expands around you like you're wearing a balloon. If you have a large stomach, then this would be a great coat for you. But if you are a normal size guy, you better like a wide fit coat on your waist if you're going to enjoy this one. The three buttons instead of four buttons makes it look kind of bobtail and odd. However, that's a matter of taste. My last version of this coat was a 4 button and I like the look of it a lot better. Ordered this coat for a Christmas gift. When it arrived I was extremely pleased. The leather was flawless and the zip in liner was more substantial than other liners. It is insulated. The coat runs true to size. Fits and looks great. Can't wait for the cold weather. I like the picture and hope the coat fit.